ORION ERP is an integrated, cost-effective and cloud-enabled industry solution for growing and mid-sized enterprises, from 3i Infotech Limited , a global information technology company. The solution is built on future-ready technology stack to digitally empower organisations and help optimise business processes to make informed decisions through anytime access to dashboards and analytics, available on multiple deployment options, including both On Premise and Cloud. ORION ERP process packs are flexible and scalable solutions that cater to various industries including manufacturing, trading & distribution, contracting, logistics, retail, banking, insurance, procurement, grant management, HRM, etc. 3i Infotech is focussing on integrating the new-gen technologies to innovate process automations using robotics, machine learning and IoT. They are also building ‘Taskbots’ using open RPA Technology platform which can bring significant value to its customers. The company is working on IoT Interfaces along with AWS services to address the client’s needs in this space to connect various Manufacturing Sensor based data to bring in control in the manufacturing processes. Block chain initiatives using ‘Open Chain Technology’ is also being explored for the customers to have their digital distributed ledger management and digital asset management. 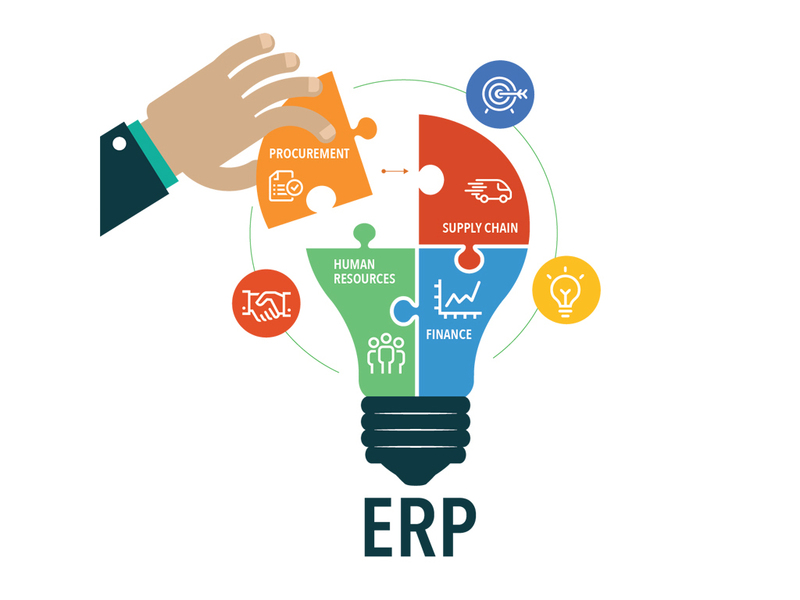 “ORION ERP offers industry specific solutions that are designed for rapid implementation, and organizations can rely on a single partner from implementation to training, with low cost of ownership. It compels and combines a dynamic workflow management, notifying engine for rapid enterprise search and offers anytime, anywhere access through web interface, mobile apps & mobile dashboards,” said Mr. Suryanarayan Kasichainula, EVP & Business Head (ERP), 3i Infotech. “The recent upgradation of ORION ERP is ORION 11j, driven by latest design innovations, making the solution functionally rich, with a pedigree that has rising demand across multiple verticals. We are investing and building solutions on the initial success in the developed and emerging markets, withsuccessful implementation of VAT in GCC countries and GST implementation in India and APAC,” added Mr. Kasichainula. The company has a marquee set of clients, both globally and in India. In India, some of their key customers include - Faber-Castell, Gandhar Oil Refinery India Ltd., along with many other banking customers. In GCC countries, the customers include - City Pharmacy, Al Khoory Group, Jumbo Group, InterCare, AGE Group, Al Fozan, Technical Seal Company Limited. In APAC - Hafele, Mega Lifesciences, and in Africa - Edgars and PS Kenya are few of their customers. ORION ERP has more than 800 customers across geographies including India, the Middle East (UAE, KSA, Qatar, Kuwait & Oman), Africa, Thailand, Malaysia, and Singapore. The ERP customer base is concentrated in the emerging markets, including MEA, KSA, and Thailand. Some of the recent additions to the ORION ERP product portfolio include, Fleet Management vertical solution - addresses diverse needs of the business that rely on transportation aiming to control cost, increase productivity and efficiency; Production Planning and Scheduling – supports organizations in improvising the efficiency of the planning and procurement process; Statutory Updates - ORION11j include GST for India and APAC, VAT for GCC countries. The company recently posted a strong 41% growth of the license revenues from the ERP vertical and a revenue growth of 14% for FY17. 9M FY18 license revenues grew an impressive 90% over a similar period of FY17. ORION ERP was recognized one amongst the 20 most promising ERP solutions, globally in 2016, 10 most promising ERP solution providers across APAC in 2017 and amongst the 10 best manufacturing solution providers in 2017.